Below is a summary of Chapter 3, which includes sections on nuclear, hydro, wind, solar, biomass, geothermal energy, tidal power, and biomass and biofuels. You can download the full summary, the full chapter or the full study via the links on the right. Although electricity comprised only 17% of delivered energy in Canada in 2016, and the NEB projects that this will be just 19% in 2040, most strategies for widespread replacement of fossil fuels by renewable energy call for much higher levels of electrification. For example, Canada’s “Mid-Century Long-Term Low-Greenhouse Gas Development Strategy” (mid-century strategy) contains six scenarios calling for an increase of between 86% and 246% in electricity generation over 2015 levels, which would result in electricity providing between 33% and 65% of delivered energy in 2050. This compares to the NEB’s reference case projection, which would see generation increase just 23% over 2015 levels by 2040. Scenarios in the mid-century strategy are targeted at reducing emissions by about 80% from 2005 levels by 2050, and call for reduced levels of overall delivered energy consumption compared to 2015 levels as well as increased electrification. Sources of electricity have unique characteristics that determine their cost and the related infrastructure needed. Key among these are the capacity factor (the amount of electricity actually generated by a source compared to its theoretical maximum) and whether the source is “dispatchable” or not (the ability of a source to be turned on or off when needed to balance demand). Hydro, nuclear and thermal sources (thermal sources include oil, natural gas, coal and biomass) had capacity factors of 54%, 78% and 47%, respectively, in 2015, whereas wind and solar had capacity factors of 26% and 20%, respectively. Hydro and most thermal sources are dispatchable, whereas nuclear is not, as it cannot be ramped up and down to follow load. Solar and wind are intermittent and therefore non-dispatchable, as they vary on hourly and seasonal timeframes. This means that solar and wind must be backed up by dispatchable energy sources and/or storage to provide a reliable grid. Although wind is typically deployed in large wind farms located in areas with optimal wind speed and connected to points of use by often lengthy transmission lines, solar is amenable to both large commercial installations and to distributed generation at the household- or commercial-building scale. Nuclear, which provided 15% of generation in 2015, has 14 gigawatts of generation capacity. Without refurbishment of the Bruce and Darlington reactors, at a cost of $C26 billion, Canada’s nuclear capacity will decline to zero by 2037 due to the retirements of reactors as they reach the end of their planned lifetimes. Assuming the refurbishments go ahead, nuclear generation will still decline substantially. The mid-century strategy’s scenarios call for the construction of between three and 108 new one-gigawatt reactors by 2050. At the U.S. Energy Information Administration’s average cost of new “advanced nuclear,” this would require between $US18 billion and $US642 billion in capital expenditures by 2050, not including transmission lines. Even the declining generation in the NEB’s reference case would require four new reactors. Hydro, which provided 59.2% of generation in 2015, had 80 gigawatts of generation capacity in 2016. Canada was second only to China in terms of hydroelectric generation in 2016, which came from 576 facilities rated at more than 0.8 megawatts and 22 rated at more than one gigawatt. Just over 50% of generation came from Quebec, 18% from BC and 11% from Ontario. The mid-century strategy’s scenarios call for the construction of new capacity equivalent to between 33 and 118 new 1.1-gigawatt dams by 2050 (which is the size of the highly controversial Site C dam now under construction in BC). Going by the cost of Site C, new dam construction would require between $US205 billion and $US739 billion in capital expenditures by 2050, not including transmission lines. Wind, which provided 4.4% of generation in 2015 (according to the NEB, while Statistics Canada indicates 2.7%), has nearly 12 gigawatts of generation capacity. The highest generation is in Ontario, followed by Alberta and Quebec. The mid-century strategy’s scenarios call for a 12% to 1,792% increase in wind generation by 2050, which would require between 654 and 97,362 new two-megawatt wind turbines. At the U.S. Energy Information Administration’s average cost of wind turbines, this would require between $US2.5 billion and $US366 billion in capital expenditures by 2050, not including transmission lines. 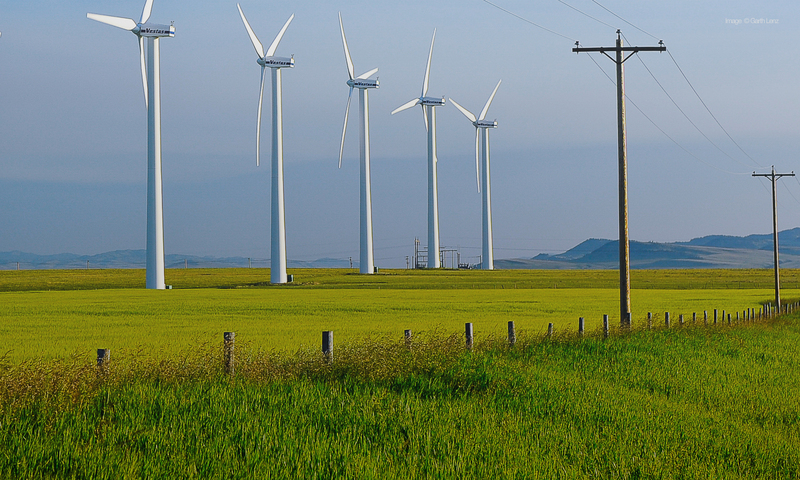 High-quality wind sites are geographically restricted, with the best sites in the southern prairies, in other, more-restricted locations, and offshore. Solar, which provided 0.5% of generation in 2015 (according to the NEB, while Statistics Canada indicates 0.05%), has two gigawatts of generation capacity, most of which is in Ontario. The mid-century strategy’s scenarios call for a growth in solar generation of up to 3,192% by 2050, which would require adding up to 73 gigawatts of new solar capacity at a cost of up to $US185 billion. In addition to daily (and shorter) fluctuations from cloud cover and day/night cycles, solar generation is subject to large seasonal variations, with capacity factors dropping below 6% in winter months in many parts of Canada. Biomass, which provided 1.9% of generation in 2015 (according to the NEB), has 2.8 gigawatts of generation capacity from 136 widely distributed plants, most of which have a capacity of less than 100 megawatts. The mid-century strategy’s scenarios call for a growth in biomass generation of up to 873% by 2050, which would require adding up to 21 gigawatts of new biomass capacity at a cost of up to $US105 billion. Biomass is considered a carbon-neutral energy source; although when initially burned biomass emissions are comparable to coal, it is assumed that these emissions will eventually be sequestered through regrowth. Biomass has an advantage over renewable sources in that it is dispatchable and can therefore be used to back up intermittent sources such as wind and solar. There is no geothermal electricity generation in Canada at present, and the mid-century strategy does not anticipate significant development by 2050, although there is potential, particularly in BC and the southern territories. Other renewable forms of energy include biofuels (ethanol, biodiesel and biomass gas), the use of biomass for heating and the use of geothermal energy for space-heating. Canada is not self-sufficient in the production of ethanol for blending with gasoline and imports 36% of its requirements, although it is self-sufficient in biodiesel. The net energy return on ethanol and biodiesel is less than 1.6:1, making biofuels a marginal replacement for fossil fuels at best. Notwithstanding this, “renewable fuels” are assumed to increase two-fold to 10-fold from current levels in the mid-century strategy’s scenarios. Biomass heating facilities are widespread in Canada, with 270 large-scale facilities and many more using biomass for residential heat. In addition, Canada is a major exporter of wood pellets, mainly to Europe. The fact that biomass has emissions equivalent to coal when burned, and that biofuels and biogas have emissions equivalent to their fossil fuel counterparts, will exacerbate the greenhouse gas emissions problem in the near term, until regrowth removes emissions from initial combustion. The use of geothermal energy for space-heating (also referred to as geo-exchange) offers a significant pathway to reduce the consumption of fossil fuels currently used for this purpose. There are a number of large geothermal heating projects at the commercial building scale and the residential community scale, and a much larger number at the individual residential dwelling scale. Although the initial capital costs are higher than those of some alternatives, they will pay back in the longer term with major emissions reductions.